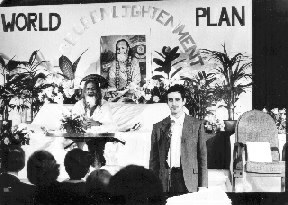 In the timeperiod after the vedic area master Adi Shankara introduced the Advaity Vedanta sampradaya. He divided india into four areas - each with a Shankaracharya. Since the 80ies the Shankara-Order does not accept Maharishi and rejects him. Maharishi was only the secretary of Guru Dev and a sadhu and not a initiated disciple. Guru Dev, who died from poison, had wanted two other persons as successor, and there is no proof that Guru Dev was a fully enlightened master (Unity). Maharishis teachings inclusive the Transcendental Meditation and the siddhis are very different from the traditional Advaita-Vedanta -Teachings of the Shankara-Order, and he does not represent the "Holy tradition" (and i am fully convinced that he is a black master or Rudra-master !). The (alleged) siddhis are in claring contradiction to the teachings of the order, and even Pantanjali warns before them. At the 6. February 2008 Maharishi died - after he had said he had met Guru Devs alleged mission. Since then is Maharaja Adhiraj Rajaraam Tony Nader president[who had received his weight in gold]. 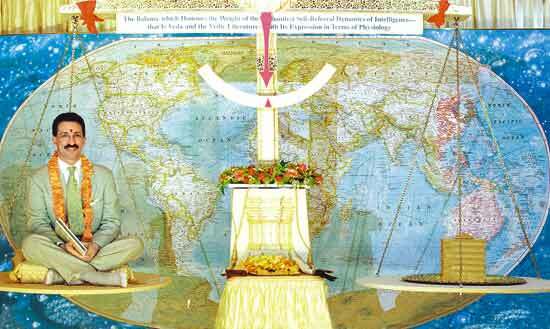 TM - vedic architecture - our future (for the rich)...? "What is Enlightenment : Bhagwan"